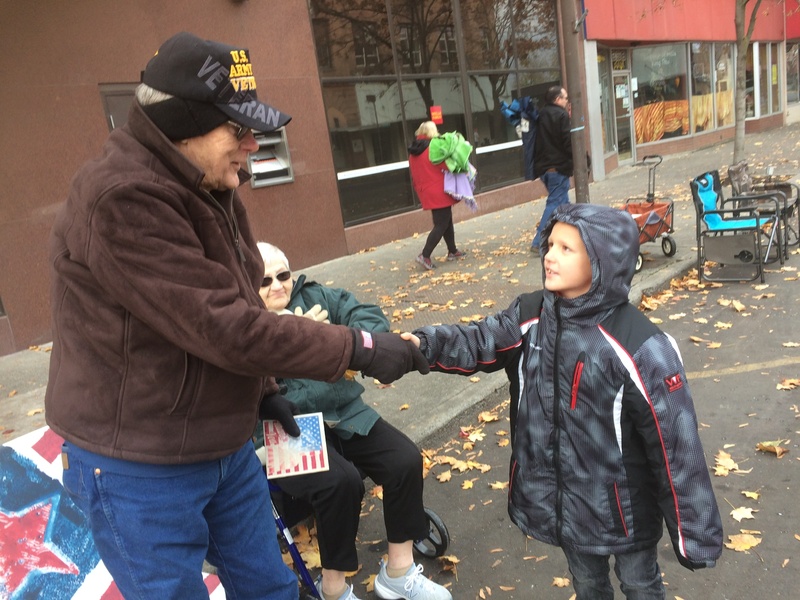 My son went up to a veteran just before the parade started (Saturday, Nov. 10) and shook his hand and thanked him for his service. The excitement in his face brought tears to my eyes. Julie Simmons took this photo of her son Landon, 7, shaking Command Sergeant Boyd Pederson, a retired major for the state of Idaho. Warms my heart to see the excitement in a veteran’s face and makes me feel good when I am told I am teaching my kids to do the right thing. Thank you Boyd for your service! !